To help you learn more about where and who your fellow members are, in each issue of PORAC Law Enforcement News we’ll profile one of the 14 chapters up and down the state. 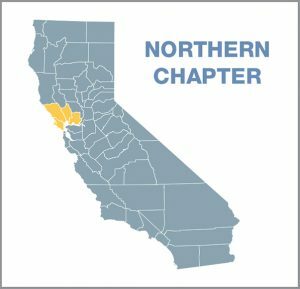 We hope that reading about each chapter’s challenges and achievements will bring us all closer together and inspire you, your association and your own chapter as you navigate the road ahead. This month, we start with the Northern Chapter. Labor negotiations are top of mind for the Northern Chapter. “For most agencies in our current environment, [the priority] is keeping the benefits we have,” says Ron Jacobson, chapter president. That challenge is easier to meet with the help of other agencies. “We get together and look at ‘What is everybody else getting? What is your city council and board of supervisors doing with negotiations and how can we either do that or not do that and go with different models to help in the negotiations?’ That’s the biggest thing we’re dealing with right now, just figuring out where everybody’s at, what they’re looking for and where we’re going,” he says. For instance, the financial market is up, the local real estate market has started to slow and that the Federal Reserve is going to raise rates three times in 2018, Jacobson notes. “What is that going to do to the economy? We’re looking at the global economy, just like everyone else. “Meeting with our members quarterly gives me the opportunity to speak with other associations who may be facing the same issues,” Jacobson says. Not only do agencies collaborate on negotiations and discipline but on casework, too. “With freeways, everything is kind of intertwined; we can be looking for the same group of suspects. It’s networking for doing the job that we do,” he says. 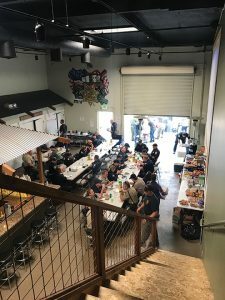 During the Sonoma and Napa county wildfires last fall, the Sonoma County Deputy Sheriffs’ Association served meals at its union hall to the officers who worked the line or prevented looting. PORAC and CAHP Credit Union also helped with fire and recovery. CAHP provided aid and set up the donation page for the PORAC/POREF Wildfire Relief Fund, which “was giving funds out to help people who had lost their homes and such,” Jacobson says. “California Casualty — one of the insurance companies that works with PORAC members — was literally out there and was disbursing funds to members within hours of them filing claims, helping people get back on their feet. California Casualty was a huge part of starting the recovery process once these fires were contained,” he adds. Jacobson has been a member of PORAC since 1999. Six years ago, he “was asked to run for the Solano County VP position. And when our last president retired in 2016, I took over last year,” he says. What does he want to accomplish? Get “the smaller agencies within our chapter to be more active, to come to all events and chapter meetings,” he says. “With the evolving role of law enforcement and the perception of law enforcement in the news, it’s nice to have PORAC being our voice at the state capitol as well as in the media defending us,” Jacobson says.